In addition to the previously featured All Gold edition “Mickey Finn” by Coop, these are what 3D Retro'll have at their Booth #5250 for the coming San Diego Comic Con 2018 (July 18-22). 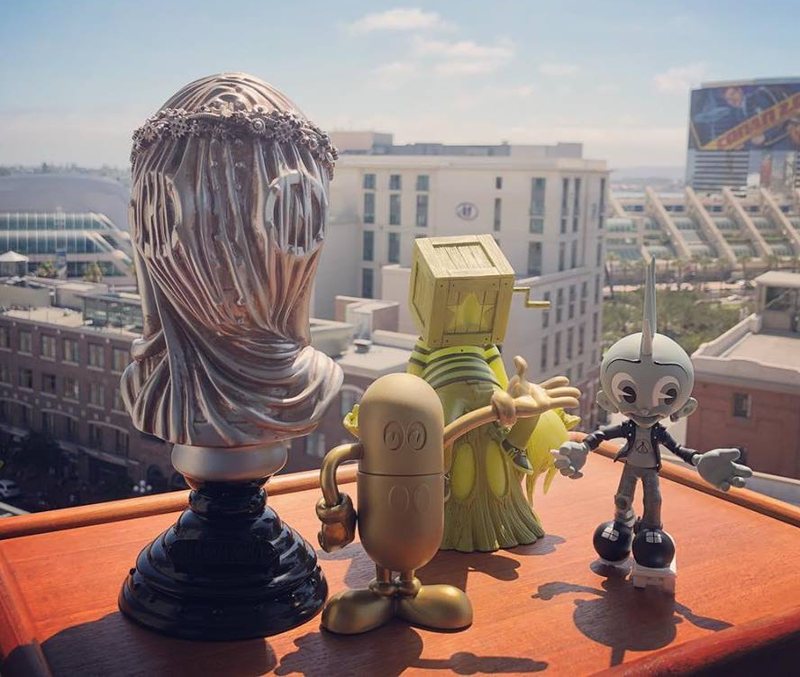 Exclusives include: Doktor's A's “Anesthesia” Mechtorian Bust (this'll be the 4th colorway), the third colorway of Nathan Ota's “Coozie”, and Coop's "Mickey Finn". Product details in the IG-captions, thanks.